From this week, eBroadcast will be offering content partners, mobile and website users an industry-leading four week cinema schedule. 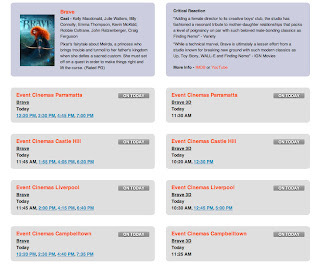 The advanced rolling timetable offers users the ability to book their cinema seats with all major cinemas up to a month in advance. Previously, the industry standard schedule consisted of a seven day, Thursday to Wednesday timetable. 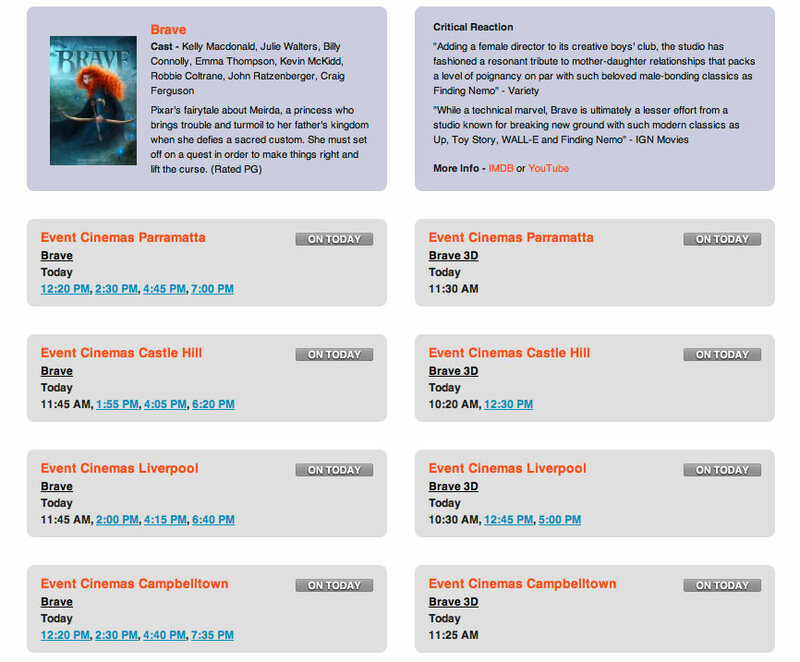 Currently, participating cinemas are Event Cinemas (including BCC and Greater Union), Hoyts Cinemas, Village Cinemas, Palace Cinemas, Reading Cinemas and over 50 independent cinemas. All remaining cinemas offer the existing standard seven day schedule with a view to launching extended data in the near future. The new four week schedule further strengthens eBroadcast's popular Movie Times product in the Australian marketplace. Earlier this year, eBroadcast was the first to launch integrated ticketing facilities, extensive social media integration and iTunes trailer support directly into its Movie Times product. The eBroadcast Movie Times service is viewed thousands of times per day on mobile phones via ABC Mobile, News Limited Mobile, MyMovies, eBroadcast's own TV & Movie Guide Australia app (available on iPhone, iPad, Android and Blackberry devices) and is seen on a growing catalogue of major Australian websites.